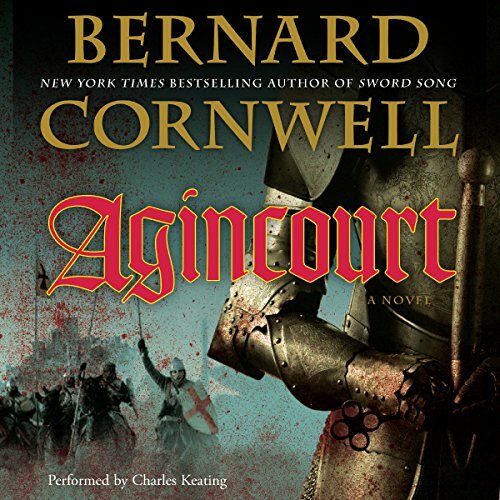 Bernard Cornwell tackles his richest, most thrilling subject: the heroic tale of Agincourt. Instead he is discovered by the young King of England, Henry V himself, and by royal command he takes up the longbow again and dons the cross of Saint George. Hook returns to France as part of the superb army Henry leads in his quest to claim the French crown. But after the English campaign suffers devastating early losses, it becomes clear that Hook and his fellow archers are their king's last resort in a desperate fight against an enemy more daunting than they could ever have imagined. One of the most dramatic victories in British history, the battle of Agincourt, immortalized by Shakespeare in Henry V, pitted undermanned and overwhelmed English forces against a French army determined to keep their crown out of Henry's hands. 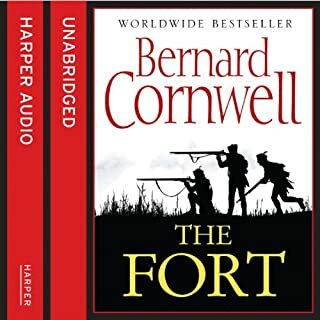 Here Bernard Cornwell resurrects the legend of the battle and the "band of brothers" who fought it on October 25, 1415. An epic of redemption, Agincourt follows a commoner, a king, and a nation's entire army on an improbable mission to test the will of God and reclaim what is rightfully theirs. 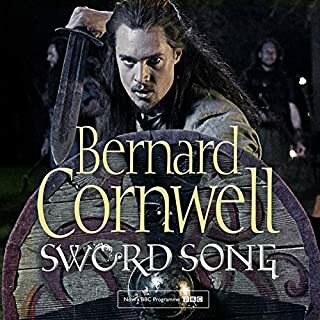 From the disasters at the siege of Harfleur to the horrors of the field of Agincourt, this exhilarating story of survival and slaughter is at once a brilliant work of history and a triumph of imagination Bernard Cornwell at his best. 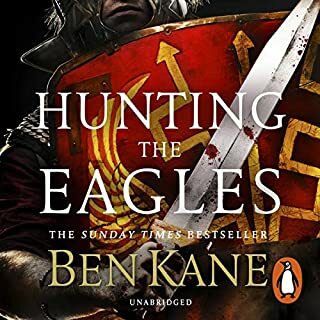 It pains me to give anything less than 5 stars for this book, particularly Keating's narration which is absolutely luscious, nuanced and pitch perfect. So with all that--great story, superb narrator--why did some imbecile of a producer decide to keep interrupting the flow of the story with bombastic, overbearing, overwrought and hyperventilated orchestra music, dropped in (so far as I can tell) utterly at random with no relevance to the current action or the chapter structure or anything else? Seriously dude, I know what emotions to feel about the narrative. The reader is doing a great job. I don't need to be sledge-hammered by this kind of ludicrously inappropriate distraction. I don't know what they thought they were doing but here's a word for it: FAIL. Must be the same producer who's done this to a couple of other Audibles I've (otherwise) enjoyed. I think maybe one of the Harry Bosch ones? Anyway, whoever you are: please, please please just STOP it. "Agincourt" retells the story of the French defeat at the hands of the English made famous in Shakespeare's "Henry V." The author has extensively researched this historical event, and his retelling of it "feels" authentic. The novel also reworks a few familiar scenes from Shakespeare's play, which should satisfy those who have come to love that story. It is extremely captivating and highly believable. I couldn't put it down. I would, however, offer these caveats. The profanity is extreme and relentless, and some characters are grotesque - to put it mildly. The first hour is especially vile, and the descriptions of war are long and graphic. The excellent reader goes a long way in making the harshness palatable. Excellent story in a great historical setting. I loved the characters and shared the danger. 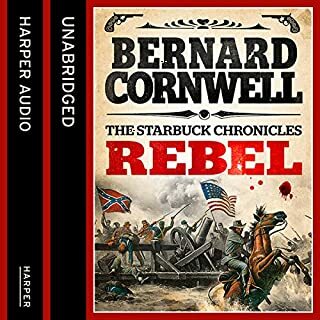 This is the best audible book I've heard this year and will be looking for more of this author's works. The violence is graphic but I think it's good not to gloss over medieval combat. Otherwise, we fall into the danger of both romanticize it and losing the historical authenticity. 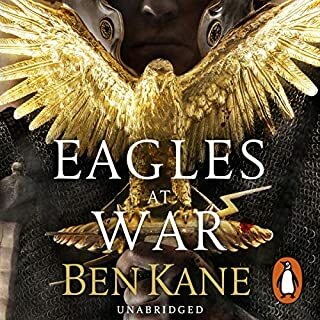 Sometimes i get a little medieval and what i like best is when a story is as true to history as possible - yet still weaves in enough fiction to capture the essence of life. This one does it well with a narrator who keeps it flowing well. As for violence, well - it was a violent age. I found it not too heavy, not too light. I may dig into the author's reccommended sources for some more of the history, but he did a great job of skimming over the complexities of politics and relating some human interest into the time period. This is a novel based on historical events, the French-English battle at Agincourt. 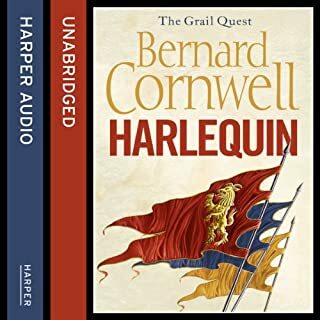 Cornwell is a master of historical perspective, and in Agincourt he develops an incredibly believable environment, both physical and political. The setting and characters remind me somewhat of "Pillars of the Earth", but Agincourt focuses more on battle and has much more action. I was impressed by the depth of knowledge and description of medieval battle and weaponry; it was educational as well as highly entertaining. Some historical novels tend to bore me, but Agincourt moved along with a great story, characters, and action. I don't often read historical fiction, but I will be returning to this genre soon and often in search of a work approaching the caliber of Agincourt. 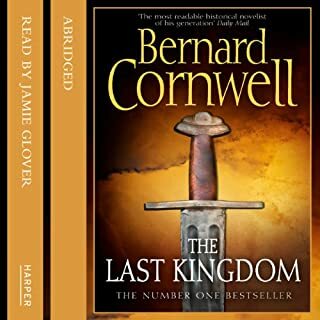 Cornwell does a marvelous job of fully and viscerally plunging you into life in feudal Europe. 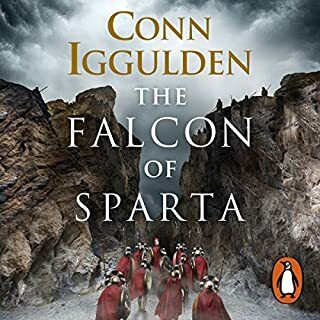 His attention to details, from the way longbows and arrows are fashioned to the unimaginable brutality of combat, makes the story utterly gripping. The reader gives an impassioned performance in his depiction of Cornwell's words. This one will really stay with you. I have almost unknowingly been looking for a book like this for a long time! 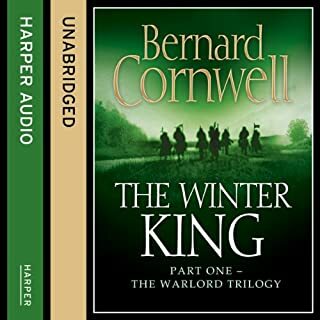 I am a fan of Stephen Pressfield's historical fiction books and George RR Martin does a great job mixing fiction and reality into his own realm (phenomenally so); but Cornwell does a great job of making his book, although grounded in history, into a story that puts you there in a way that few other historical fictions ever have managed! I am truly in awe! it is worth a read (or listen... the reader is great by the way)! Highly Recommend! I have listened to this story three times over the past year and love it every time!! 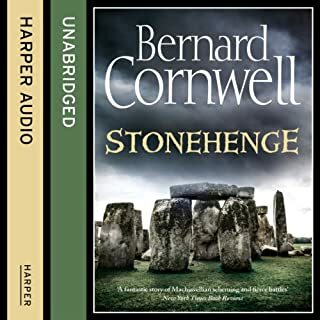 The narrator is the so great; all of his voices are spot on. Mr. Keating has the ability to give subtle nuance to different characters; even his female voices sound right, somehow. But the story is a terrific mix of history and battle theory, study on archery, small town boy against the world overcomes all with a bit of romance. I can't fault it - save that I wanted it to be three times longer! If you are bothered by rough language or gory details, this book might not be for you. If you appreciate a straight-forward, well written, well narrated historical fiction, download away! 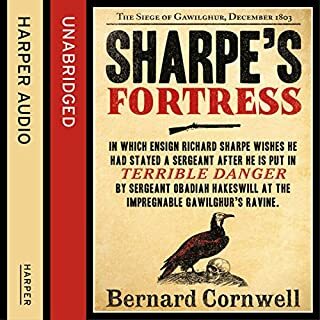 This book has a slightly different appeal than the Sharpe books for which Cornwell is justly famous. Because it is a one off without the support of a long established central character, it is slightly less rich in its biographical texture, but Nick the archer does not lack for complexity and humanity. As always, Cornwell shines in his ability to create the detail, color and emotional reality of a bygone era. Since a good deal of the book is about combat, the realism may be too much for some readers, but it is always aimed at communicating the truth of the moment rather than at its shock value. If you like Patrick O'Brian, you are pretty much a lock to love Cornwell. Exhaustively researched and meticulously recreated both physically and emotionally. No review of this book would be complete without a bow to the narration which raises it from four to five stars. Brilliant work. This was simply the most amazingly written, perfectly narrated tale I've ever surrendered to. Delicious, funny (the first time we meet Sir John is alone worth the entire purchase price), brutal, and detailed. I simply could not ingest the book fast enough. I sit here now, basking in the afterglow of a masterful novel. The book is decidedly graphic, but not unnecessarily so: this book entails medieval warfare. In fact, it so captures the horrors of war that it makes me wonder how humanity ever crawled out of the Middle Ages alive. The characterization in the novel is brilliant. And the characters are completely engaging. Above all, though, I loved Sir John. Not only is he one of the most humorously written historical figures, but the sheer delight of Charles Keating's characterization is stupendous. My only regret: you can only hear this "for the first time" once. But I will listen to this again and again in the future. The story of Nicholas Hook is in many ways similar to that of Thomas of Hookton....in this case carrying both a powerful story of love across the barriers of English and French. It is also an interesting story of medival patronage...both at village and battle troop level. Ultimately it is a beautifully described battle scene which takes its time building slowly and carefully to the extraordinary end. Agincourt is a fine well told story. Loved it. Great story, brilliant characters, sublime performance. I'd love to see how a director like Ridley Scott would bring this to the big screen. Please someone make it happen. Well written story true to historical facts as explained in the thoughtful epilogue. I feel so much better informed now I have listened to this book. The narrator could not have been better chosen, his character voices brought the whole thing to vivid life. More please from everyone! I liked the accuracy and well thought out scenarios.. I disliked the slow and ponderous pace which took some getting used to. 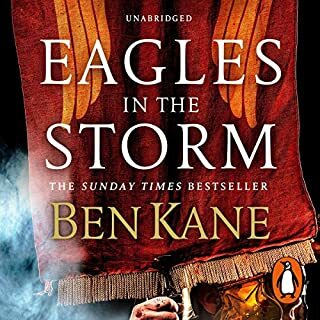 Overall it was a very good read and whetted my appetite for more historical novels of the same calibration.